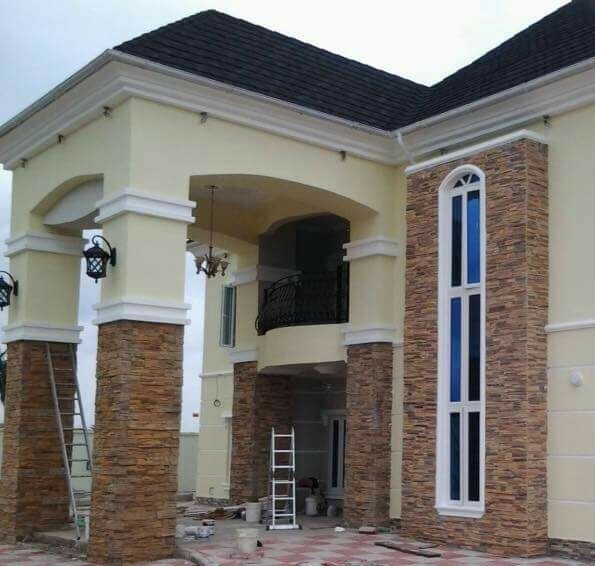 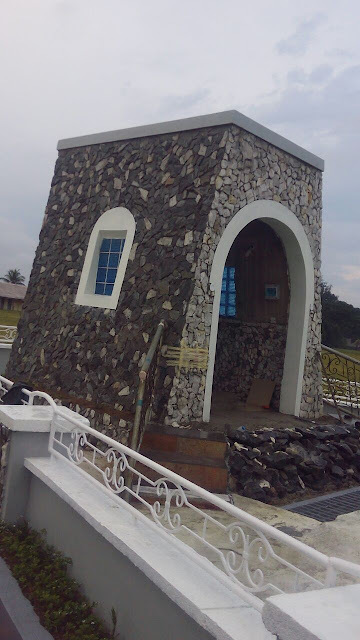 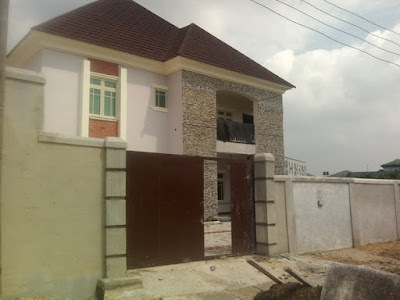 Exterior ez fit stone installed on a building for a client in Nigeria, we cladded the two main pillars at the front of the building with the two minor columns on the building. 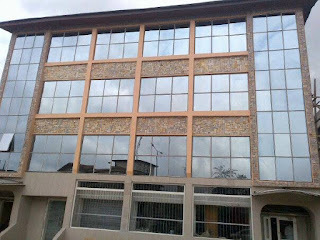 Also we covered the major window decor at the building front to accentuate a balanced design for the stone decoration. 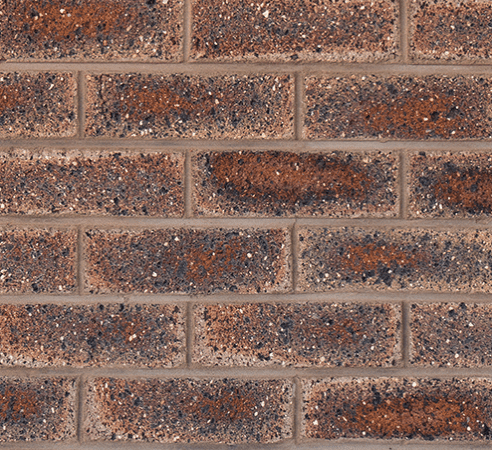 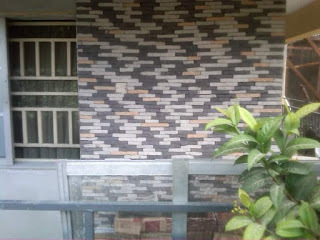 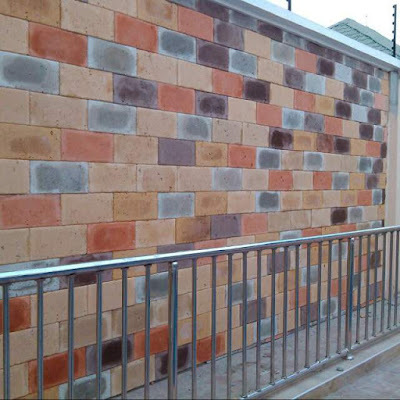 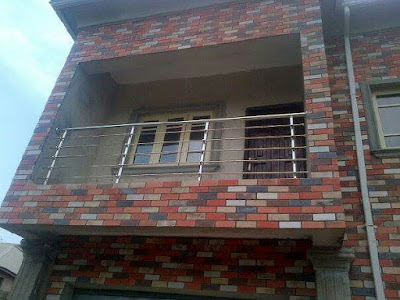 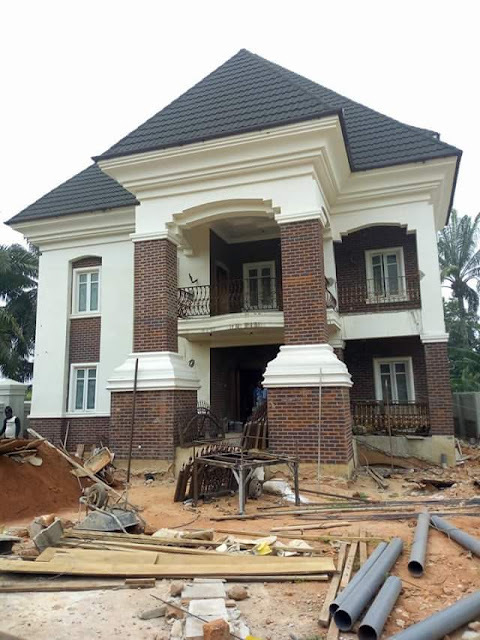 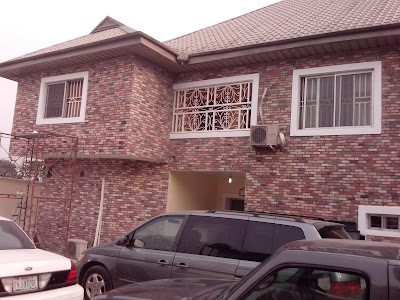 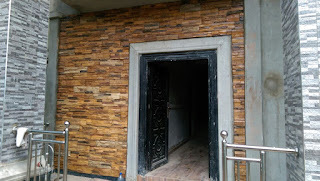 This is one of the superb delivery of farad contractors Nigeria, we are versed in both interior and exterior decoration of houses in Nigeria with bricks and stones, call our number on 0806 287 3386. 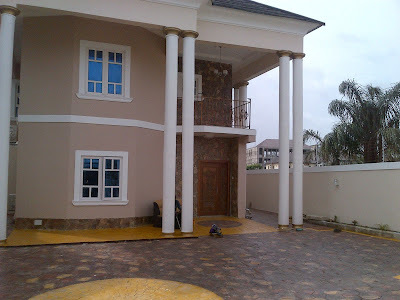 We work anyhwere in Nigeria.